What are your favorite clothing stores to shop at? What kind of Activities do you like doing for fun? Will you be bringing a friend, or parent? Which adult or friend will accompany you to the session? Please list any other great information about yourselff. The Ultiimate session is only session that has professional hair and make-up included. Please fill the make up portion out regardless of your session type. Who will be doing your hair and make up for your session ? What is your hair color ? What is your daily Hair and make-up routine ? How do you plan to have your hair done for the session ? How do you plan to wear your make up for your session ? YOU ARE A ROCK STAR! THANKS OF TAKING THE TIME TO FILL THIS FUN LITTLE QUESTIONNARE OUT. 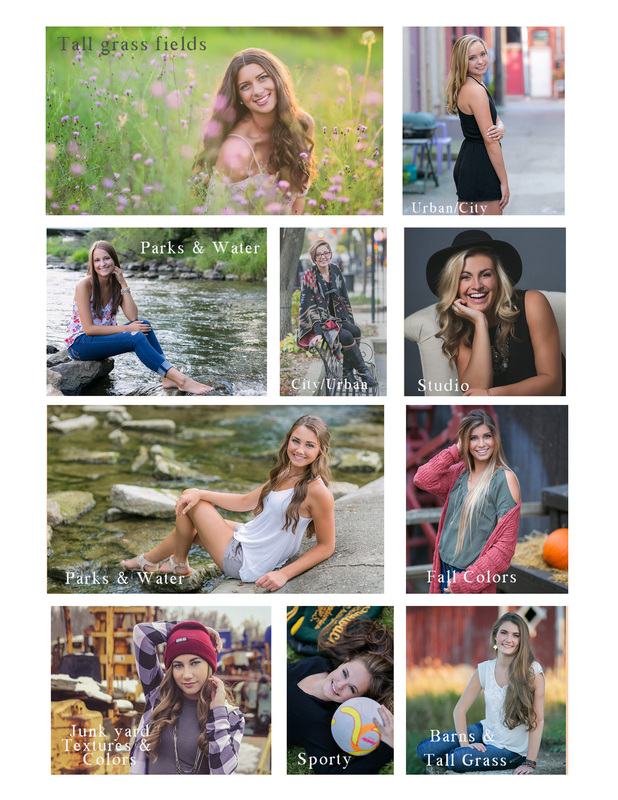 IT WILL HELP TREMENDOUSLY FOR YOUR SENIOR PICTURES.